With the SOLIDWORKS® University Research License, researchers can access the latest in engineering technology, while communicating with other researchers and industrial users around the world. When students learn SOLIDWORKS, they have the sought-after CAD skills needed to achieve rewarding careers in engineering. As a parent or team mentor, you can help students get the most from their SOLIDWORKS learning experience—and have a clear advantage when it's time to look for a job in the engineering field. What advantages will my son or daughter enjoy by learning SOLIDWORKS? SOLIDWORKS is a professional computer application. Will it be difficult for my son or daughter to use? Can we run SOLIDWORKS on our home computer? In which classes might my child find SOLIDWORKS useful? What specific skills does SOLIDWORKS teach? What resources does SOLIDWORKS offer students and their parents? We homeschool our children, but don’t have much high-tech experience. Will we be able to teach SOLIDWORKS effectively? Students who learn SOLIDWORKS develop mechanical CAD, design validation, and data management skills that are in high demand among employers. In the job market, engineers who know SOLIDWORKS have a clear advantage. Many engineering design professionals prefer SOLIDWORKS because it’s so easy to use. Like anything new, SOLIDWORKS has a learning curve. Once your student has a grasp of the basics, however, he or she will be able to use many SOLIDWORKS functions and will develop advanced skills over time. Can we run SOLIDWORKS Student Edition on our home computer? 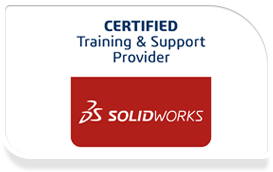 Today, many PCs can run SOLIDWORKS Student Edition. Click here for complete system requirements. In which classes might my son or daughter find SOLIDWORKS useful? Using SOLIDWORKS Student Edition, students learn a range of valuable mechanical CAD, design validation, and data management skills as they create parts, assemblies, drawings, and more. Students who use SOLIDWORKS Student Edition with SOLIDWORKSSimulationXpress will also learn finite element analysis (FEA)–the critical process of testing their designs for real-world conditions. What resources does SOLIDWORKS offer students and parents? The SOLIDWORKS Student Edition software includes complete user documentation and tutorials in Adobe® PDF format. In addition, students and parents can find a wealth of information and assistance on our “Resources for Students” page. Here, they can link to student-user forums, project galleries, homework help, tutorials, and more. Parents who homeschool will find many resources on our website, including classroom teaching tools and access to our Teachers’ blog. Click here to read about Homeschooling with SOLIDWORKS.